Heather Fincher advises domestic and foreign-based multinational clients on a variety of federal and international tax matters, including mergers and acquisitions, joint ventures and internal restructurings. Additionally, she represents clients in connection with tax controversies and tax treaty competent authority proceedings, and before the Internal Revenue Service. 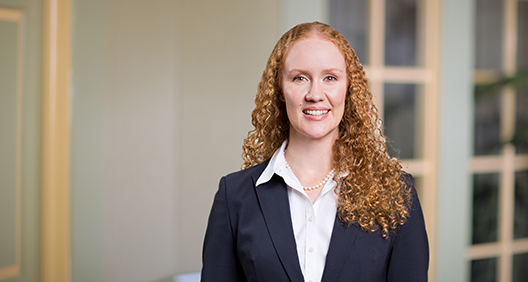 An initial member of BakerHostetler’s Blockchain Technologies and Digital Currencies team, Heather also helps taxpayers navigate a variety of legal and regulatory tax issues presented by blockchain technology and virtual currencies. Coordinated comprehensive restructuring of a public company’s international structure involving dozens of entities, located in more than 25 countries, to realign ownership and intercompany indebtedness in anticipation of a more than $1 billion sale transaction and a major U.S. spin-off. The project required coordination among local counsel, as well as corporate and tax advisors, strict adherence to cascading deadlines in each jurisdiction, and drafting of U.S. corporate legal documents. Advised a global private equity firm in connection with its international investment advisory structure, permanent establishment issues and transfer pricing strategy. Advised blockchain startup companies regarding formation and tax compliance issues. Represented multinational company in tax treaty competent authority proceedings involving foreign tax adjustments. Advised S corporations with respect to successful filing of private letter ruling requests, formation of qualified subchapter S subsidiaries and appropriate elections for shareholder trusts. Heather Fincher Joins Panel Discussion of Taxing Foreign Companies in U.S.